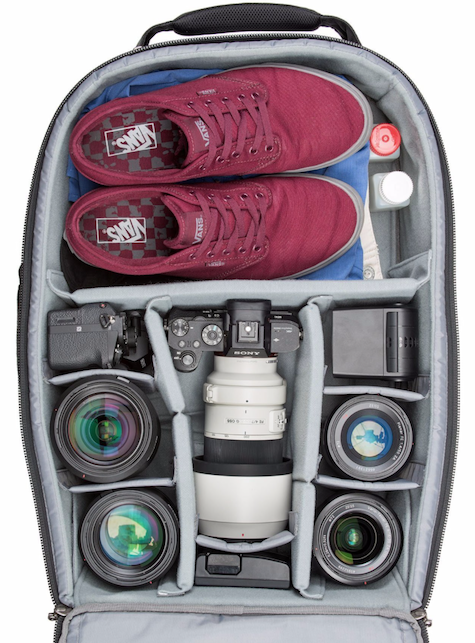 Holds at least two full size cameras plus all lenses and accessories. 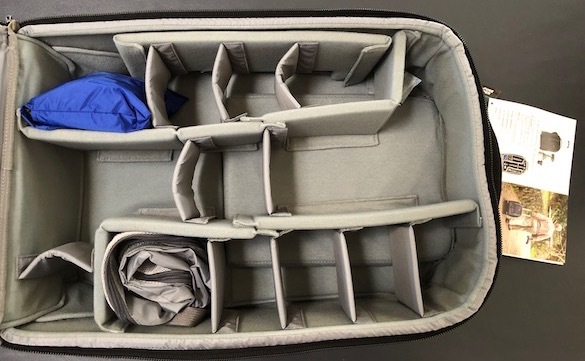 Modular inserts make this case suitable for overnight and unlimited tech travel. More good news from the brain trust at Think Tank Photo. 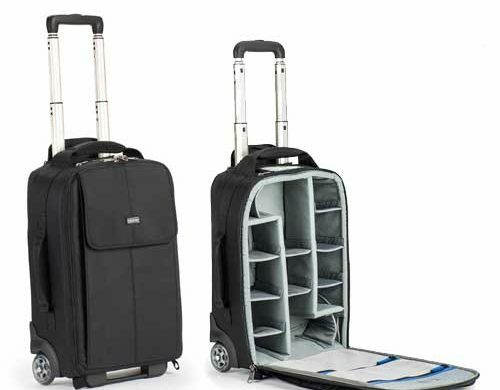 This compact, lightweight rolling Airport Advantage Plus Rolling Camera Case is ideal for airline and ground travel for professionals and everyone else. Its modest exterior size makes it fit perfectly in airline overhead bins and underneath most seats, or in the teensy trunk of your Mini Cooper. 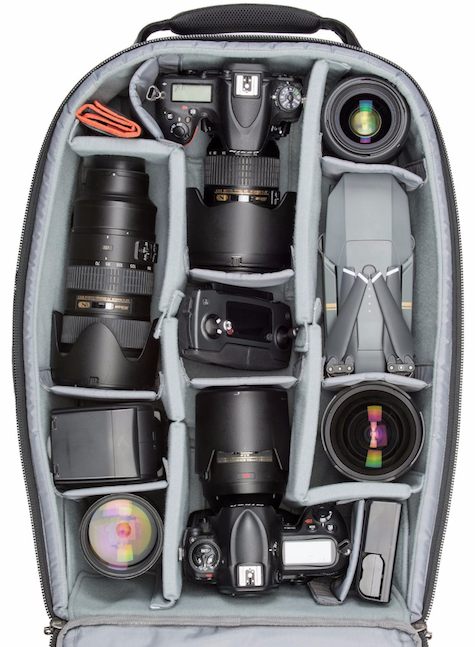 Photo equipment can get really heavy in quantity, and this case conserves weight with its limited bulk. Every material and construction method is first class, from the robust nylon to the sealed bearing wheels that actually roll and the extra tall handle that disappears when not being used. Two superb large and confortable grab handles are placed just where you need them, and there is a tripod sleeve. I wish this elastic sleeve was a bit larger to accommodate a full size water bottle. 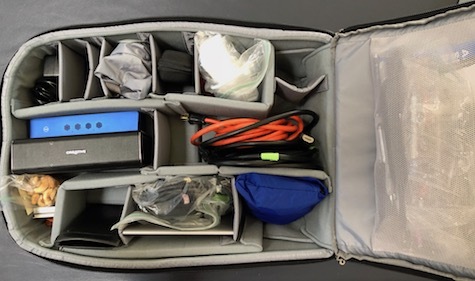 I loaded a day’s worth of over 25 pounds techie gear into Airport Advantage Plus Rolling Camera Case last Friday for an afternoon teaching iPad, iPhone, and Mac techniques to a group at the University of Arizona. 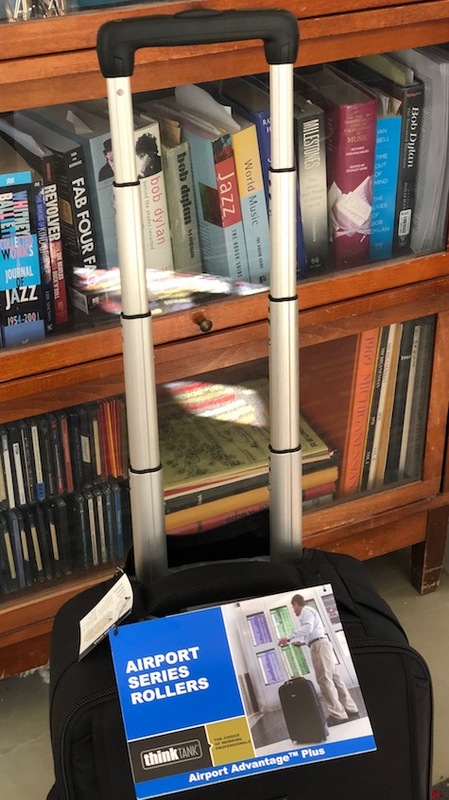 Everything fit, although my second heavily-encased iPad pushed the roller bag’s storage to its limit. It’s great to have everything in place when I unzip the front panel. 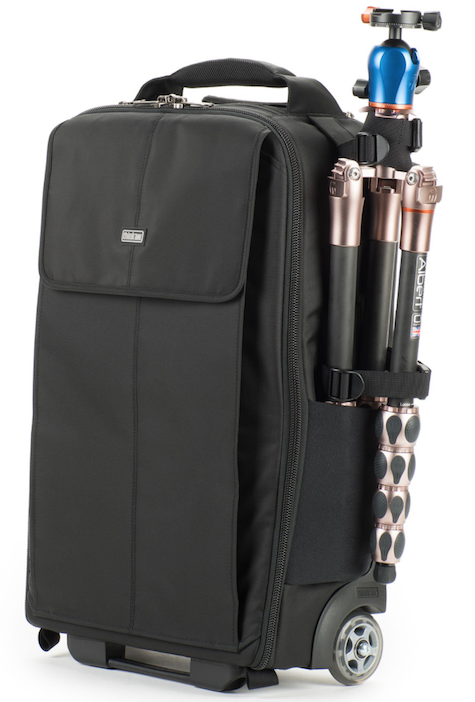 There is also a mesh bag included, as needed, plus a rain cover and tripod straps. Again: be extra careful with your MacBook Pro and its sleeve plus your iPad, both when opening the Airport Advantage Plus and also when rolling and setting it upright. Think Tank’s warranty is forever to the original owner, so live long and roll away in style. MyMac Review Rating is 8 out of 10. Lifetime and multi-use product from a pro-level company with a forever guarantee.